I have been a Morden Hall wedding photographer for a while now, and have had the pleasure of photographing a number of beautiful weddings here. Morden Hall is a stunning 18th Century country house set within beautiful National Trust parkland in Morden, South London. The building was renovated in 2015, and has been a popular wedding venue ever since. It is just a few miles from the hustle and bustle of the city, but you feel like you are in the countryside. Geese and ducks swim on the nearby river and pond, and wander about on the lawn. I know the area well because I visit Morden Hall Park almost every week with my family. The National Trust organises fantastic programmes all year around to keep visitors interested and entertained with arts and nature. The park has different sections like the Wetland (a super-popular tadpole catching area) and the beautiful historic Rose Garden with the River Wandle meandering through. Morden Hall wedding venue is set in one corner of this beautiful parkland, but the Hall and its gardens are not open to the public and so are completely private. Morden Hall is one of my favourite wedding venues and I wanted to give some information to couples who are considering getting married there. Why do I love Morden Hall weddings? -Easily accessible from London –there is plenty of free parking and the Hall is just 5 minutes walk from Morden tube station at the end of the Northern Line. It is ideal for couples looking for the ambience of a country wedding without having to travel too far. -It is hard to beat the idyllic setting of Morden Hall Park with its parkland, flowers, wetland and all its wildlife. -Exceptional food provided by Galloping Gourmet. I do have to mention that the food is of very high quality. I have heard so many guests congratulating the chef on the amazing wedding breakfast. And the evening pizza also goes down as a treat! I highly recommend all the catering at this venue! -Fantastic customer service and wedding coordination. I worked with Emma and Amber and they are super-organised with amazing attention to detail. The couples I whose weddings I have photographed have always felt well-taken care off. Morden Hall is perfect if you are looking for a quintessentially country wedding in an idyllic setting without travelling too far from London. It is ideal if you are a nature-lover, a foodie and want to have a well-organised wedding in a beautiful country house. 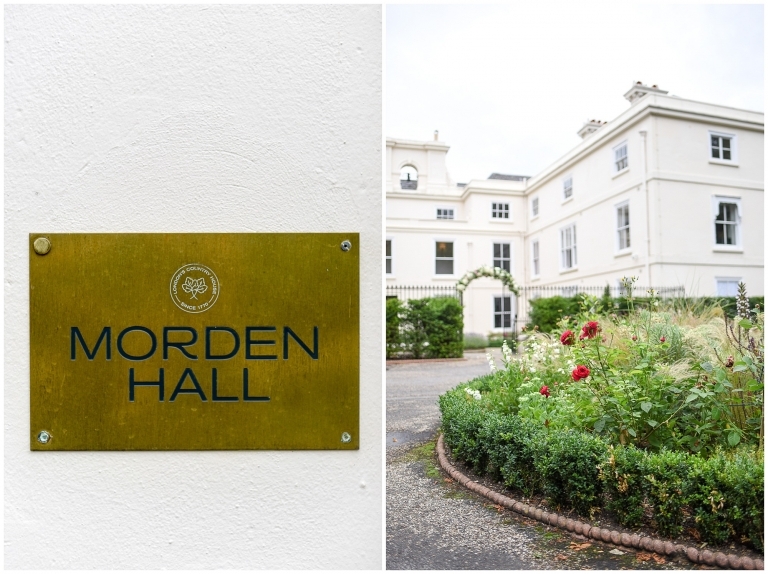 Morden Hall is a hidden gem in London and it is well worth checking out if you are looking for your perfect wedding venue! If you are looking for a wedding photographer please head over my contact page and tell me all about your love story. I have been a Morden Hall wedding photographer for a few years now and had the pleasure of photographing a number of beautiful weddings here. Morden Hall is an exquisite 18th Century country house which is set within a beautiful National Trust parkland in Morden, South London. 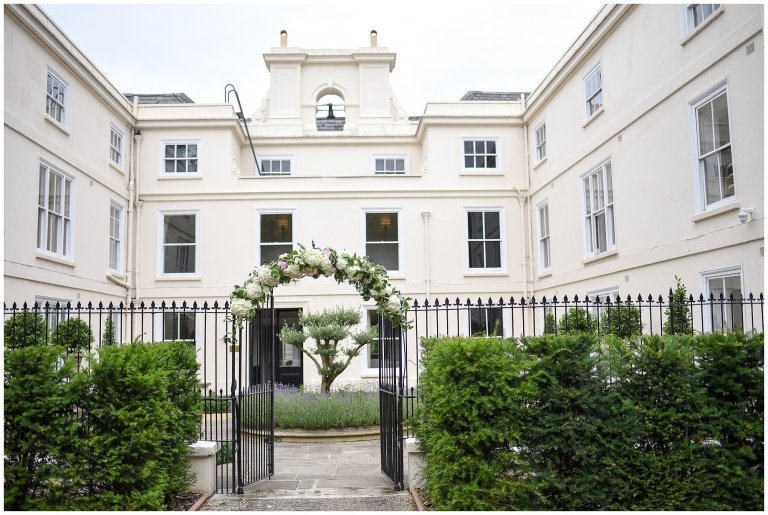 The building has been renovated in 2015 and it has been a popular wedding venue with London couples since then. It is just a few miles from the hustle and bustle of the city and it feels like you are in the country. I know this area well as we visit Morden Hall Park almost every week with my family. The park (and the recently renovated coffee shop is a popular weekend stop for local families and National Trust organises fantastic programmes all year around. The park has different sections like the Wetland (super popular tadpole catching are), the beautiful Rose Garden with the River Wandle meandering through. Morden Hall wedding venue is set in this beautiful parkland, but it is private and has no public access through making it very private. This wedding venue is a hidden gem in the heart of South London!